Plagued by staff cutbacks and a dropoff in admissions, Albany's College of St. Rose has accepted the resignation of a high-level administrator. 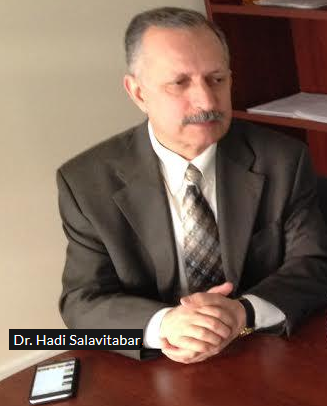 Dr. Hadi Salavitabar, who was second-in-command at the college, has left his post as vice president for academic affairs and provost, a position he held since 2013. He was responsible for the quality of St. Rose's academic programs, and as recently as May shared his ambitious agenda for the college's international student recruitment with WAMC. "In fall of 2013 we had about almost 80 international students on campus. Right now we have over 200. We hope to get at some point in the future about 10 percent of our campus being international students." No word on the current status of that goal. Meantime, college president Carolyn Stefanco is pushing to select an experienced interim provost. St. Rose is facing a $9 million funding shortfall. As it publicly grapples with staff cutbacks and a dropoff in admissions, Albany's College of St. Rose’s international program is flourishing. In a move to reduce the cost of law school, which can reach six figures, two colleges in New York are partnering to offer accelerated law degrees. Albany’s College of Saint Rose and Pace University School of Law in White Plains have teamed up to enable qualified Saint Rose students to earn both a bachelor’s degree and a law degree in six years. Dean of Pace Law School David Yassky says it is his school’s first partnership with an outside college. Authorities have determined the identity of a man's body that was found along the Hudson River outside Albany. The body was found on the river's west bank Wednesday afternoon by CSX railroad employees working on a bridge near the Thruway in the town of Coeymans , just south of Albany.